Caspar McCloud is a virtuoso guitarist, singer, and songwriter, an acclaimed portrait artist, as well as an equestrian, ordained minister, and bestselling author having written five books to date. A modern day Renaissance man, the multi-talented McCloud has wowed fans and fellow guitarists with his lightning fast technique, his use of effects, a la his friend, and mentor Phil Keaggy, as well as his gentle, serene, Celtic/classical-tinged acoustic playing. Caspar signed to Atlantic Records after leaving his home in England for New York City and was touted as the “next Jimi Hendrix” by the legendary Ahmet Ertegun, CEO, and Founder of Atlantic Records. Befriended by Phil Keaggy, seven years of patient witnessing culminated in Caspar giving his heart to Christ on an airplane in the midst of a personal crisis. Ever since Caspar has yielded his considerable talents to God. He has recorded over ten projects since his first now rare UK release “Messin’ Round”, which is an in-demand collector’s item. Some of Caspar’s early recordings Upon This Rock gained him national acclaim with his single I Need The Lord. He went on to record with his band The Ministry of Three that included: In Adoration, The Living Word, Soul Saved, In Our Life Time, World Without Borders, and his solo recording Dead Men Like Me Are Just Happy to Be Alive, which was recently released in 2014. Followed by his newest 2015 release, a remake of In Adoration. Solo projects like Mercy, Grace, and Love feature more of his classical/celtic/ worship acoustic style. 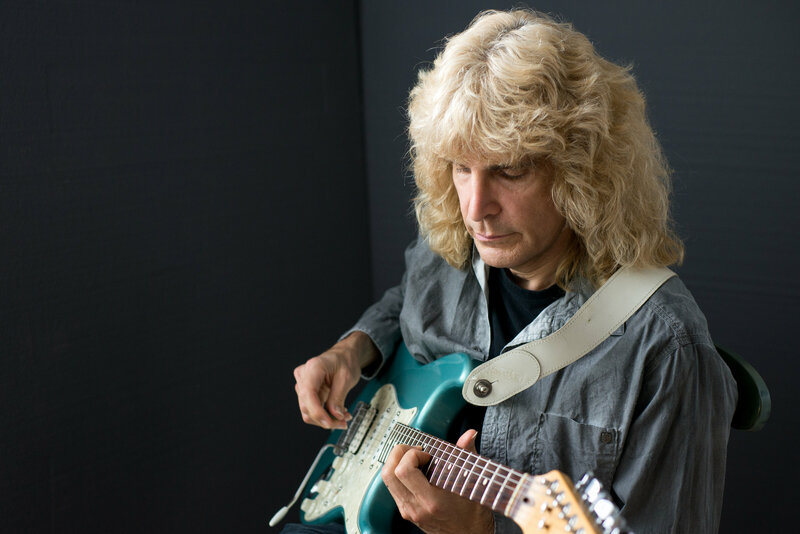 He has played and/or recorded with many celebrities and friends over the years including from the secular music field: Michael Shrieve, and Michael Carabello of Santana, Matt Bassinet, of Joe Satriani band, G3 and Ringo Starr band, Eddie Zinn of FogHat and Hall and Oates. He has performed and/or recorded with his friend and mentor Phil Keaggy, Peter Furler and Jody Davis and the Newsboys, John Waller, The Smalltown Poets, Disciple, Susan Ashton and David Teems from the Christian music industry. Caspar is also a world-class portrait artist with a Pre-Raphaelite approach, specializing in Equestrian subject matter. Some of his work are included in the personal collections of the British Royal Family. Caspar’s first book was his inspiring autobiography entitled, Nothing is Impossible, which includes his testimony of turning from the glittery, rock star world to wholeheartedly following Christ as a result of his long-term friendship with Phil Keaggy, the book also shares the dramatic story of his medically verified healing of an incurable heart condition. His second book, What Was I Thinking published by Destiny Image deals with the spiritual roots of disease and the science of epigenetics, which is the science of how thought affects physiology, through the lens of the Holy Bible. Exposing the Spirit of Self Pity, continues that theme, focusing on the deleterious effects of self-pity. His book, The Shroud of Turin Speaks for Itself with co-author Simon Brown reached the #1 spot on Amazon. His most recent book is Spiritual Encounter With the Shroud: Caspar McCloud Interviews with L.A. Marzulli. Caspar’s amazing testimony was filmed and aired as a feature entitled “A Night of Miracles” on TBN. He has also appeared on such major TV shows as CBN’s “The 700 Club”, WATC’s “Atlanta Live” “Friends and Neighbors”, and Dove Broadcasting’s “Niteline” Caspar also hosts an internet radio show each Thursday entitled, “Spiritual Encounters”. that has included such guests as L A Marzulli, Gary Stearman, Daniel Kolenda and others. He is currently Senior Pastor at The Upper Room Fellowship in Marietta, GA and is also associated with churches in Ball Ground, GA, and one in the UK. He lives in Canton, GA with his beloved wife, Joan, near his two grown children Hayley and Derek, dog Lizzie, and his horse, Mr. Bob.